To have great reflex actions means using your sensitivity to be able to react almost instantly to a detectable change within your external environment. 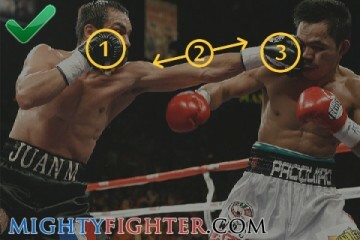 In boxing, this simply means dodging and slipping punches and also hitting the point at which the target moves to. Having extraordinary reflexes will undoubtedly take your game to the next level. For some fighters, it comes naturally but it’s a skill that can certainly be improved simply by practicing. If you want to know how to improve reflexes, then master the following exercises. The double end bag should be mandatory equipment within your training regime. It allows you to work on your punch co-ordination, timing and reflexes. There is the double double end bag which helps you with body shots as well as head shots. However, for rapid reflexes you want to work on the single double end bag as it bounces back and forth at a faster pace. The aim is speed, accuracy and timing, not power. If you’re new to this, it will take a while to get used to. Focus on your straight shots in ones and twos, then once you get used to it, aim for three or four punches in a row. You can check out the top 5 best rated double end bags here. The elastic head ball is just a soft bouncy ball that’s attached to a head gear (snap back cap is fine) with an elastic cord. As far as I know, it doesn’t seem like you can purchase this piece of equipment. However, it took me about 20 minutes to make one, although it only lasted a few weeks due to a weak cord used. You must hit it with straight punches consistently and after every hit on target, the ball accelerates so your reactions must be very sharp to catch it. This is great for improving your hand-to-eye co-ordination. This is not a common training technique (not that I’ve seen anyway) but I first saw it when Kostya Tszyu used it during training. 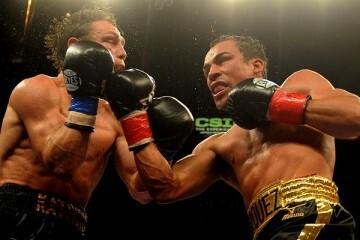 Proper pad work helps on many aspects of your boxing. It helps with your technique, body positioning, co-ordination and balance. It’s so useful because once you add a defensive element to your pad work, you’re actually mimicking your offensive and defensive movements inside of the ring. 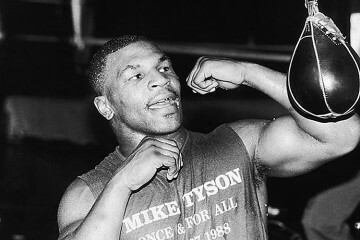 However, the ideal type of pad work that will improve your reflexes and inside fighting the most is the one made famous by Floyd Mayweather Jr and his uncle Roger Mayweather. All movements whether blocking, slipping or hitting are very short and accurate, therefore making it better for reactive movements. Many trainers focus on mid-long range and don’t know how to do this type of pad work, so you may have a difficult time finding the ideal partner for this. 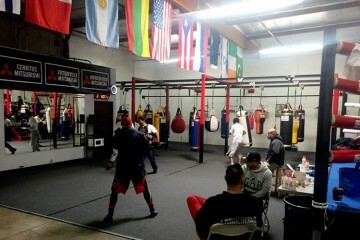 You can watch one of Mayweather’s pad sessions here. This is a fun exercise that you can do by yourself at home. You may have even done it before. The movement used in the coin catch exercise is similar to parrying a punch, so it will help you in that respect. Put one of your arms out (keep it slightly bent) with your palm facing downwards anywhere between the height of your stomach to your chest. Place a coin on top of your hand just before where your knuckles are. In that position, throw the coin upwards slightly and in try to catch it in one swift movement with the same hand. To make things more difficult, you can line 2 or 3 coins in a row from your fingers to your wrist, and then repeat the process. This is another exercise that involves a coin and also doesn’t require a lot of space. You would need any partner to help you with this exercise. Stand about two arm’s length directly opposite your partner. Get your partner to hold and drop a coin from around your chest height. Your aim is to catch the coin with one hand before it reaches the ground. This exercise is great for helping you find the target whenever your opponent bends at the waist or drops his knees. Drop & Catch – Drop the ball starting from around waist height, let it bounce once then catch it. Gradually increase the height as you improve. Ball Toss – From a split stance (a runner’s stance), throw the ball high up (around 2-3 metres), allow the ball to bounce once and then try to catch it. Wall Toss – Stand about 8-10 feet away from a solid wall. Throw the ball underhand against the wall, let it bounce once and then try to catch it using either one or both hands. The best starting position for the drop & catch and wall toss is the athletic stance. You have to stand with your legs apart (just a bit further than shoulder length), hips back, knees bent and feet inline horizontally. There is an excellent demonstration of the reaction ball exercises here. 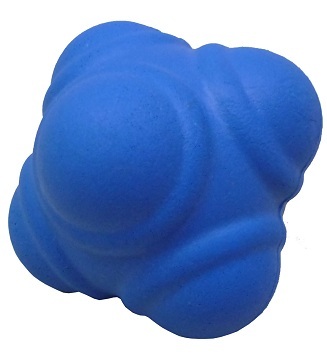 You can also check out some reaction balls here. They’re inexpensive and a good investment to help you with your reflexes. Some trainers use foam sticks in a similar way to pads, not as a replacement, but as an addition because they’re lighter, faster and have a further reach. Punches can come from all angles, and foam sticks are great for improving your peripheral vision reflexes. Get a partner to stand directly in front of you and perform an offense and defense pad work drill. While you remain in the same position, get your partner to stand 45 degrees and do a defensive pad work drill. Repeat the same at 90 degrees and then switch to the other side also. All the while you must face forward and only use the corner of your eyes to dodge the foam stick. There are certain fighters such as Roy Jones Jr & Pernell Whitaker that have cat like reflexes which lets them get away with many fundamentally incorrect maneuvers. Their amazing reflexes is one of the attributes that made them so exciting to watch but more often than not, it’s also what lead to their downfall. This is usually because they have either failed to learn the fundamentals of boxing, or they’ve just become accustomed to bad habits. Let this be a lesson that even though you have excellent reflexes, you should not rely solely upon them when it comes to defense.